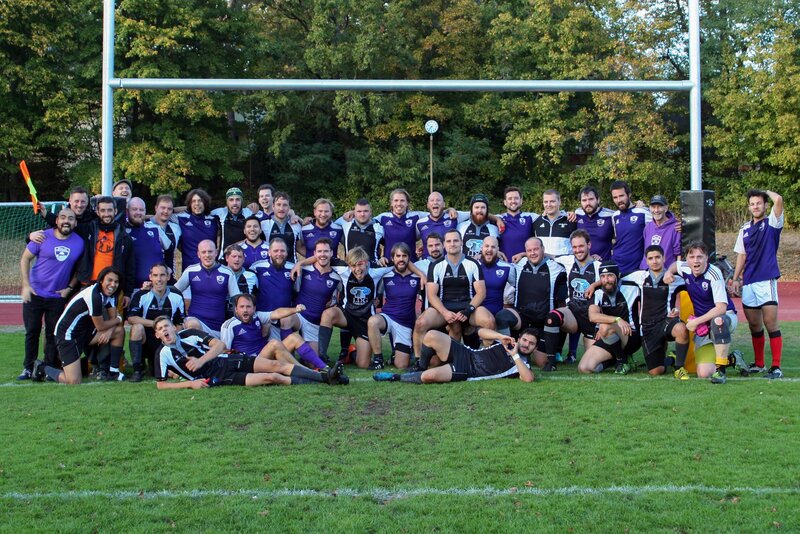 A lovely sunny afternoon down at Berliner Sport Rugby Club today, and a great day of rugby with the BSC Bruisers at home against our friends from Rugby-Verein Leipzig Scorpions e.V. It was an exciting, hard fought match from both teams, that realistically could have gone either way. In the end however the Bruisers prevailed. We wish a very speedy recovery to the injured Scorpions player!